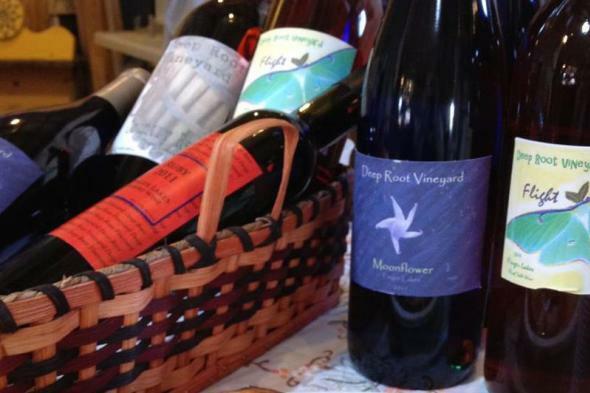 Aside from offering exceptional wines, one of the coolest things about the wineries located in Corning and the Southern Finger Lakes is that they range in size, style, and personality. Whether you love sweet or dry wines, and whether you're looking for high-volume producers, top award-winners, excellent food options, various forms of entertainment, intimate tastings, scenic views, or understated locales, there's a wine and a winery experience for every taste. Deep Root Vineyards is a "micro-production farm winery" which is a pretty cool way of saying they focus on making small batches of "limited edition" wines ranging from sweet dessert wines to dry reds with their most popular wine being Moonflower, a semi-dry Traminette. 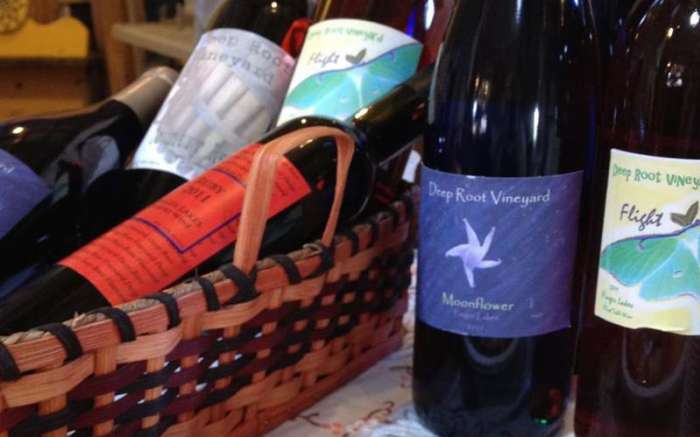 Originally from New Jersey, Ben and his wife, Michelle, searched the country for just the right spot to start their winery and were drawn to the natural beauty of Keuka Lake where they discovered a native vineyard that they consider "a gem in the Finger Lakes AVA" with roots that "extend far back into the community." Ben and Michelle take pride in offering wines that focus on sustainability and quality without forgetting to have fun. 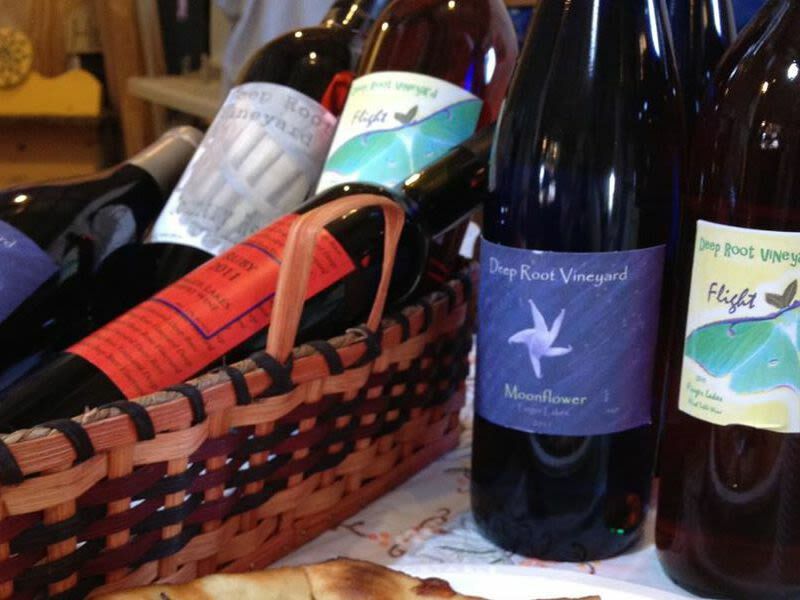 In addition to offering relaxed, comfortable tastings in the rustic setting of the winery, you'll find Deep Root at a number of Farmers' Markets throughout the region.